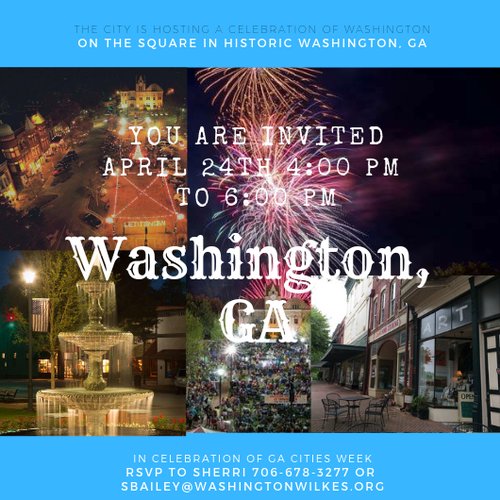 This event is in celebration of Georgia Cities Week. It's open to the public, and local, regional and state legislators. 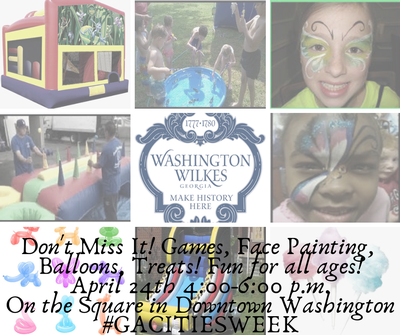 We will have children's activities, city vehicles and equipment will be on display, live music, a short film on Washington will debut - a lot of fun! No need to RSVP, just come and join the fun!